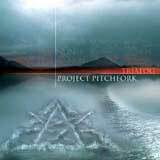 Project Pitchfork have deservedly established themselves as one of Europe's most prominant forces in the industrial scene. However, to simply label the band as industrial fails to do their music justice, as they have a strong ethereal Gothic side to them as well, as is strongly evidenced by their two Aurora side projects, and a keen lyrical sense of social justice. Their first album, Dhyani, appeared in 1991, blending industrial strength beats with Teutonic, Mozart-laced rhythms, and the courage to address such topics as animal research and social revolution. Although subsequent releases did not contain the lyrical strength of their debut, the musical growth inherent in 1992's Lam-'bras and Entities was phenomenal. Their music now embraced not just Teutonic rhythms and electroindustrial beats, but now contained synthetic orchestrations, classical rock progressions and lush keyboard gothic beauty. IO, the band's first release on Metropolis Records, continued this musical growth, with elements borrowed from classical Baroque and the electronic wizardry of Klaus Schulze thrown into their ever-expanding mix. This work was described by the Alternative Press as being "wondrous, majestic, beautiful, haunting, everything." 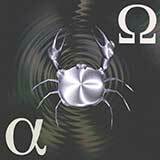 In 1998, Metropolis Records arranged to release the two full length CDs that had emerged since IO; Alpha Omega, and Chakra Red. 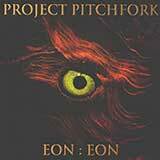 Along with the two back-catalogue releases, the Eon:Eon full-length and the Steelrose single were released. 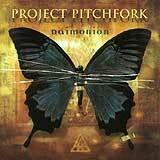 In 2001, Project Pitchfork released Daimonion. Several distinct influences could be heralded within the album; guitars and synths play among the climatically close cluster of sounds while beats in all forms penetrate the clear melodies. Retaining their muse of inspiration, Daimonion states and criticizes situations that one faces to tell the story of present day life. The Nun Trilogy came next. The first part of the trilogy was 2002's album, Inferno, in which the band re-invented itself as a more accessible electronic industrial rock band. 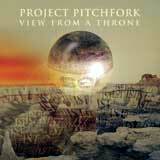 The final two pieces of the trilogy (released in 2003) were the View From a Throne and Trialog EPs. All three releases consume the topic of "Nun" which is based on the insight that the essence of the individual is to be found in a state of perpetual eternity, an eternal now. Inferno, View From a Throne, and Trialog enlighten us to the realization that we will never live in the past or future, but we will always be in the present, which is what makes the "Nun" trilogy so timeless. 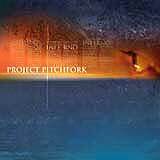 Project Pitchfork has a long history of exceptional releases dating back nearly a decade. 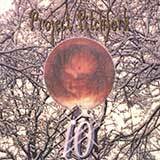 With each release, they never fail to please and this was solidified in 2004 when Project Pitchfork released their long awaited first ever live DVD entitled Live 2003. 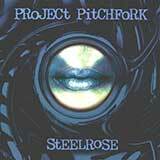 The DVD documents the energetic impressiveness that has become Project Pitchforks trademark. The band followed up their 2002 album Inferno with Kaskade for 2005. 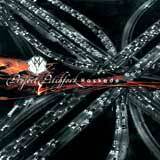 A myriad of topics run through the album, all for the listener to explore and make their own interpretation. Kaskade is a flowing piece of musical artistry that does not conform to one style, but embraces everything from rock to industrial to electronic. 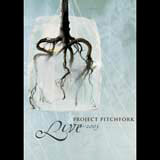 Project Pitchfork has created a masterpiece that will leave you wanting more.